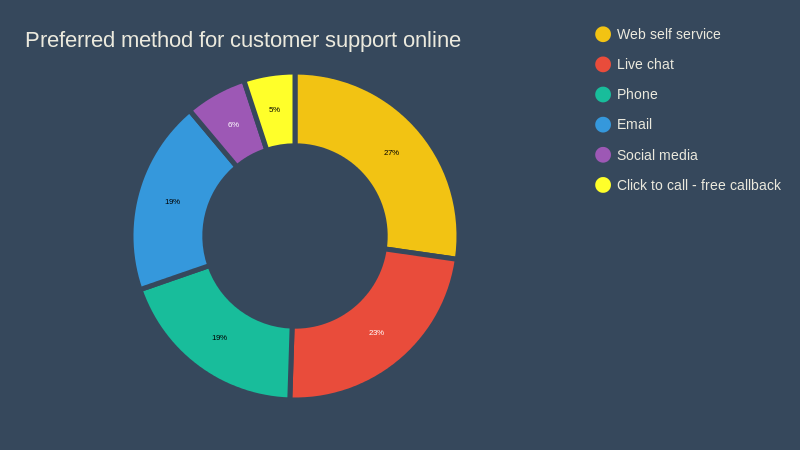 The vast majority of online shoppers prefer to solve their problems themselves. This means it's important to have a comprehensive support, help or FAQ section with genuinely useful information. Preferred method of customer service when searching for service and products online. Survey by Conversion Green, March 2015.